Time to be mindful about what you say, how you model positivity, what you have and about how you can fill the void in others’ universe. Our community is abundant with opportunities to be fulfilled culturally, artistically and leading by example to serve those in need. DEVA Cafe will once again join giving hearts with Second Chance Consignment and Costume Corner for their annual Coat Drive. New and gently used outerwear, caps, gloves, and scarves will be collected and distributed by Inter-Faith Ministries of Greater Modesto. Enjoy fantastic music choices at DEVA Sunday Brunch and Saturday Live Music Matinees with Ava Merchant 11/3, The Ardent Trio 11/4, Marcelle Griffin 11/11, Abraham Steve Lackey 11/17, Mattea Overstreet 11/18, Charlize Elizabeth 11/24 and Candace Lamb 11/25. At the House Of Cultural, the Shire Community Space and Subele will present la musica Mexicano in the form of Valley Wolf, Rubber Lizard and Jinetez on November 10 from 6pm to 12am. All ages event. Tickets $7 202 S. Santa Cruz Road, Modesto. 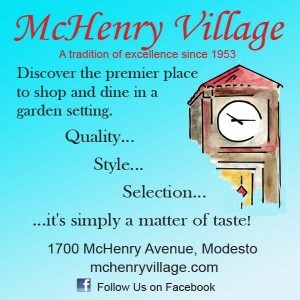 The Third Thursday Modesto Art Walk brings visual art and music together in perfect harmony on November 15. 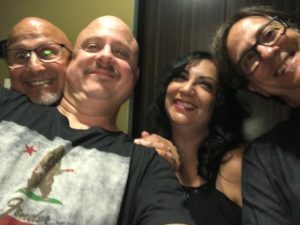 Featured on the ModestoView Stage are the Cereal Killers a multi MAMA winning crew of musicians featuring 2018 MAMA Lifetime Achievement Winner, Steve Ashman. Mod Shop celebrates Small Business Saturday in a big musical way on November 24. At every shopping venue, live music will be performed by artists to set the tone. If you have not booked talent for your holiday festivities, now is the time to connect. Consider an unorthodox venue for your seasonal party or family gathering. Support local business and music. Hire women musicians to headline your musical events and festivals. Make it your mantra.